Byington Steel Treating is a heat treating and cooling facility. 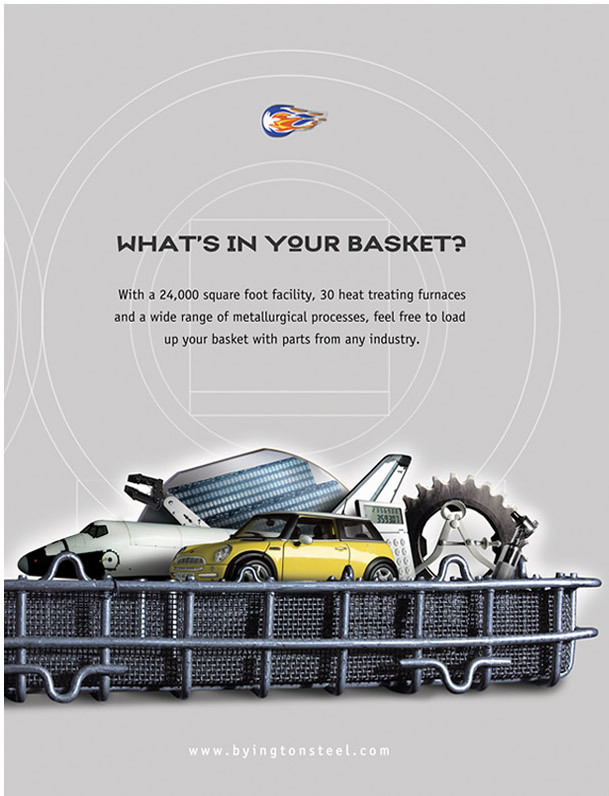 This poster is designed to showall the various industries touched by metal treating – from aerospace to automotive to medical. The baskets are loaded with parts and pieces of manufactured products. Almost all metals go through this process. The poster appeared at industry events.